Congressional investigators have obtained an internal audit from George Mason University that suggests that one of its professors—a major proponent of man-made climate change—mismanaged millions of dollars in taxpayer money by “double dipping” in violation of university policy. 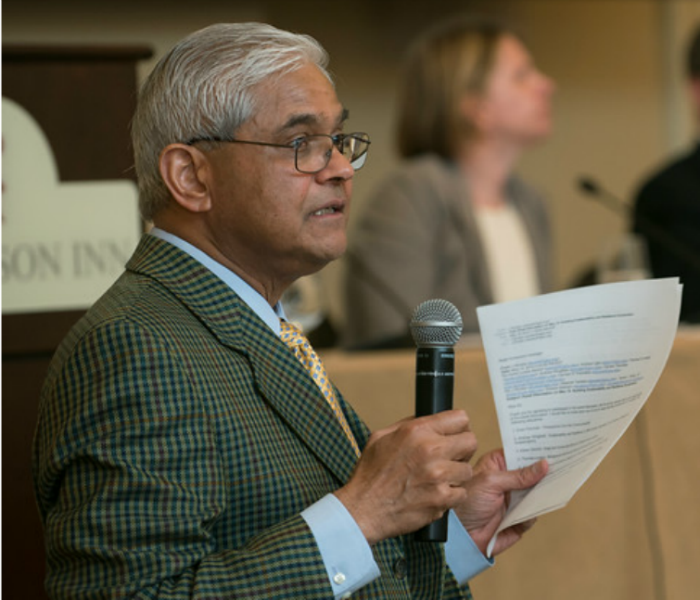 The professor, Jagadish Shukla, received $511,410 in combined compensation from George Mason University and his own taxpayer-funded climate change research center in 2014 alone, without receiving required permission from university officials, the audit found. 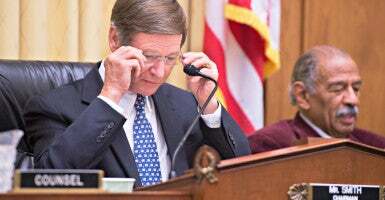 The audit looking at more than a decade of Shukla’s finances is disclosed in a letter sent this morning from Rep. Lamar Smith, R-Texas, chairman of the House Committee on Science, Space, and Technology, to the inspector general of the National Science Foundation. “The committee’s investigation has revealed serious concerns related to Dr. Shukla’s management of taxpayer money,” Smith writes in the letter, a copy of which was obtained by The Daily Signal. Since 2001, Shukla used his research center to pay himself and his wife more than $5.6 million in compensation, “an excessive amount for a nonprofit relying on taxpayer money,” Smith writes. In the letter, Smith offers to assist Allison Lerner, the National Science Foundation’s inspector general, in any investigation she “may deem appropriate” in response to the GMU audit. The Daily Signal previously reported that the Texas Republican began making inquiries last fall about reports that Shukla had received tens of millions of dollars in taxpayer-funded grants to study climate change in addition to his publicly funded salary. Shukla, 71, who specializes in atmospheric, oceanic, and earth studies at GMU, is also the founder and president of the Rockville, Md.-based Institute of Global Environment and Society, or IGES, a nonprofit outfit that is now the focus of congressional scrutiny. IGES has apparently received $63 million from taxpayer funded grants since 2001, comprising over 98 percent of its total revenue. These grants were awarded by the NSF [National Science Foundation], National Oceanic and Atmospheric Administration (NOAA), and National Aeronautics and Space Administration (NASA). Since 2001, as president of IGES, Dr. Shukla appears to have paid himself and his wife a total of $5.6 million in compensation—an excessive amount for a nonprofit relying on taxpayer money. This information raises serious questions about Dr. Shukla’s financial management of IGES. Steve McIntyre, a statistician noted for challenging the data and methodology used in United Nations reports on climate change, offers a detailed analysis of Shukla’s compensation and how it squares with university and government policies in his Climate Audit blog. The India-born Shukla, who joined the faculty of Fairfax, Va.-based George Mason University in 1993, drew a salary there of $314,000 by 2014, according to Climate Audit. Smith also raised concerns about the relationship between Shukla’s “partisan political activity” and taxpayer funds in a letter he sent to the professor in October. Shukla’s name appears on top of a list of 20 signers of a letter sent to President Barack Obama; Attorney General Loretta Lynch; and John Holdren, director of the Office of Science and Technology Policy asking them to investigate corporations and other groups skeptical of climate change under the Racketeer Influenced and Corrupt Organizations Act. Federal prosecutors typically use that law, known as RICO, to pursue organized crime. Some who hold that man-made climate change is not established scientific fact say Shukla’s “RICO 20” letter essentially calls for the federal government to prosecute companies and scientists who dissent from the Obama administration’s views on climate change. No such RICO investigations appear to be under way. But by putting his signature at the top of the letter to Obama and Lynch, Shukla drew scrutiny and attention to his own activities. It appears IGES may have improperly commingled taxpayer funds with private charitable contributions when it shifted $100,000 to an education charity in India founded by Dr. Shukla, the Institute of Global Education Equality of Opportunity and Prosperity Inc. This raises concerns that taxpayer money intended to be used for climate research was redirected to an overseas organization favored by Dr. Shukla. The recent audit conducted by GMU appears to reveal that Dr. Shukla engaged in what is referred to as “double dipping.” In other words, he received his full salary at GMU, while working full time at IGES and receiving a full salary there. 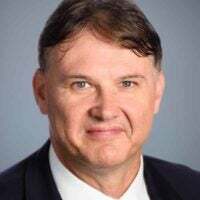 This practice may have violated GMU’s university policy, his employment contract with the university, and Virginia state law. For example, according to GMU’s Faculty Handbook, ‘outside employment and paid consulting cannot exceed the equivalent of one day per work week without written authorization from the collegiate dean or institute director.’ Dr. Shukla violated this policy [in] five different time periods from 2003 to 2015 because he failed to receive approval for paid consulting in excess of one day per week. This allowed Dr. Shukla to double dip by receiving his full salary from GMU while receiving an excessive salary for working 28 hours per week at IGES. In another instance, in 2014, Dr. Shukla received $292,688 in compensation from IGES for working 28 hours per week while simultaneously receiving 100 percent of his GMU salary. In total, Dr. Shukla received $511,410 in compensation from IGES and GMU during 2014, without ever receiving the appropriate permission from GMU officials, apparently violating university policy. “The irony here is over the top,” said Marlo Lewis Jr., a senior fellow at the Competitive Enterprise Institute who writes on global warming and energy policy, among other issues. Last year, CEI asked the Internal Revenue Service to investigate Shukla’s nonprofit research center, the one now the subject of the House probe. Shukla and his comrades … accuse fossil fuel companies of hiding climate risks from the American people, an impossible offense given the billions in annual government, pressure group, and media spending on climate advocacy. Yet, they refuse to acknowledge that their agenda, which would put an energy-starved world on an energy diet, poses serious risks to the world’s people, especially the poorest of the poor. By hiding climate policy risk, Shukla and his allies have deceived the American people. By his own logic, he should be the target of a RICO investigation. This report has been updated to include the comments from Marlo Lewis Jr.